New Academy campus – no room for everyone? 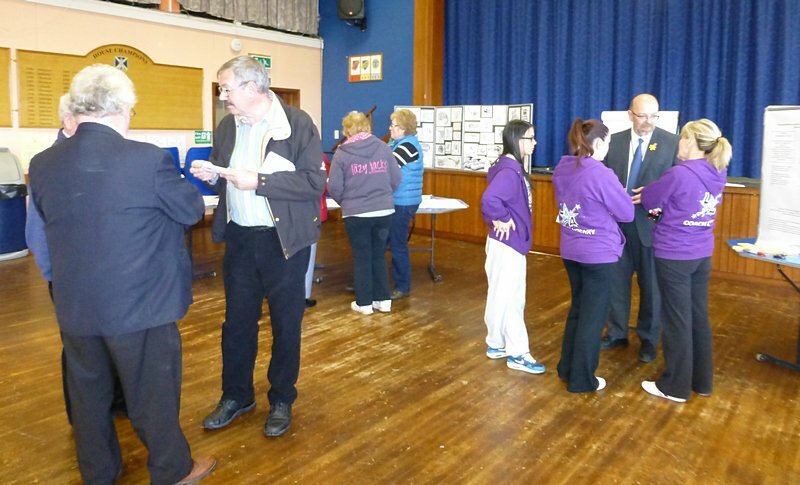 News for Mearns Academy Community Campus – Stakeholder meeting, 2nd April 2014. This is the latest in an irregular series of meetings which the council have held to help community groups monitor the progress of our new community academy. The good news is that the builders are only marginally behind target and the school should be ready to occupy after the summer holidays. The initial concern for local residents was that the site they chose for the new build would only hold a building of similar capacity. We were expecting one to house the school and a good range of sport facilities, a community part to accommodate the organisations who were to be asked to quit the community centre, the library building and possibly the St Laurence Hall. Very quickly we were told that this was a like for like build; there was no money for a pool. We were not impressed. Two and a half years later and the community element of the school seems quite inadequate to replace the old buildings and to expand with the planned increase of 195% of the current population of Laurencekirk. So breathe in, join Weight Watchers and perhaps we will all squeeze in. If you want to know where you will fit in to our dream community academy, get a booking form from Mearns Community Centre and find out more about the opportunities to have an even better choice of community activities. The bad news is that the Out of School Club are still waiting to find out if they can have a suitable space. The Guides and Brownies might just squeeze in, but our vulnerable senior citizens may lose their coffee morning and lunch venue unless the Council find help for transport, and convince the group that the move will benefit them. Does this fit with the new Older Folks Charter which the Council will be launching soon? by Mike Robson, Laurencekirk Development Trust & Villages in Control. 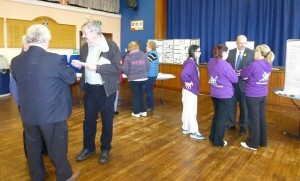 Our photo shows some of the representatives from community groups at the meeting.